I’ve entered the Great Scottish Run Half Marathon which takes place on the 2nd September 2012. 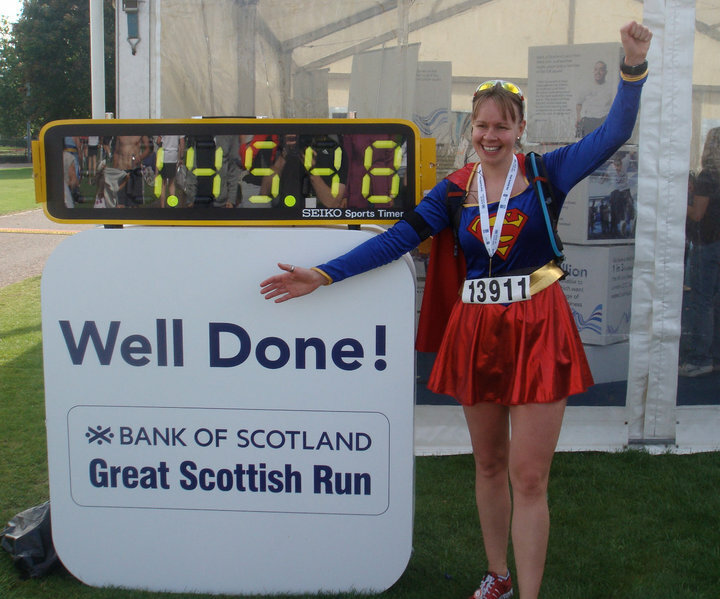 I’ve run the Great Scottish Run twice now, once in 2010 dressed as Supergirl and again in 2011 with a Saltire cape on my back (having completed the 10k before it!). Q. How does pacing work in a Half Marathon? I’m going to be a pacer at the GSR half marathon! 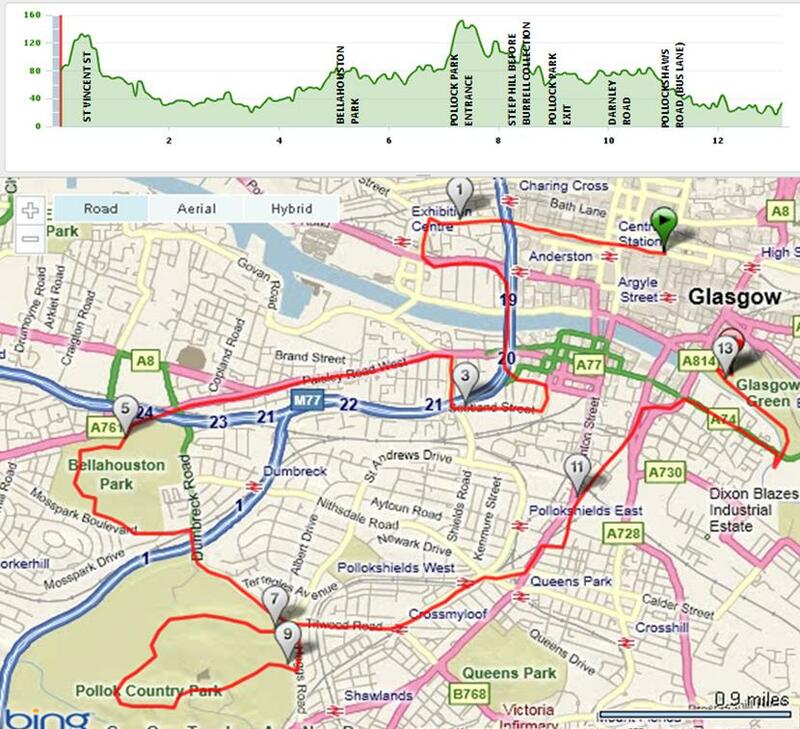 Over the past few years, I’ve got a few training routes together which cover most of or all of the route.